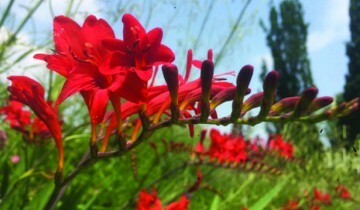 … Poppies, Peonies, and Irises! 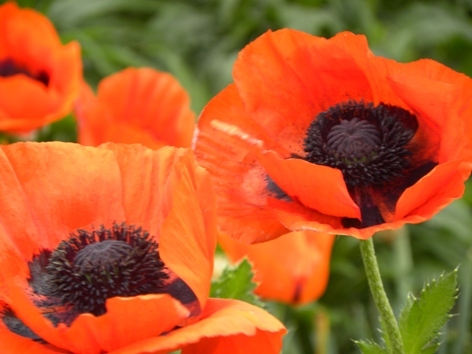 Featured is Papaver orientale ‘Brilliant’ (Oriental poppy) planted last year on the North lawn, this garden sponsored by Milne House Garden Club. 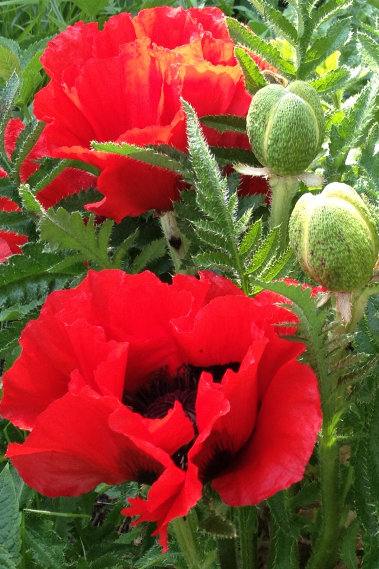 You can never have too much of a good thing … more Brilliant oriental poppy. 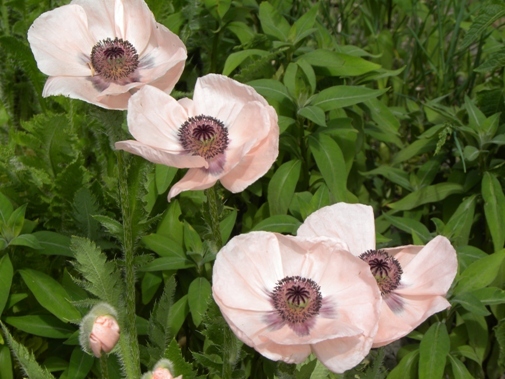 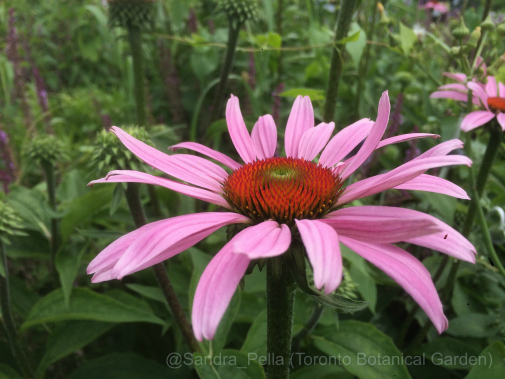 In the Demonstration Garden, although not accessioned, my best guess is Papaver orientale ‘Karine’ (Oriental poppy) in delicate pink. 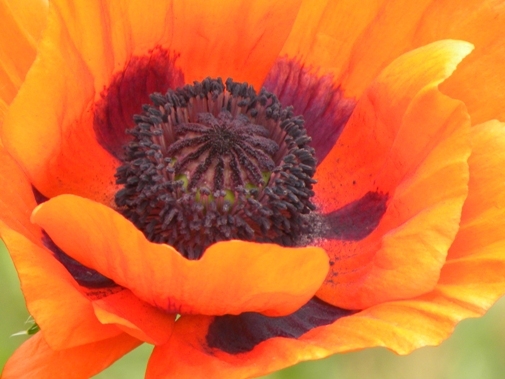 A stunner Papaver oriental (Oriental poppy) cultivar unknown, in the Demonstration Garden. 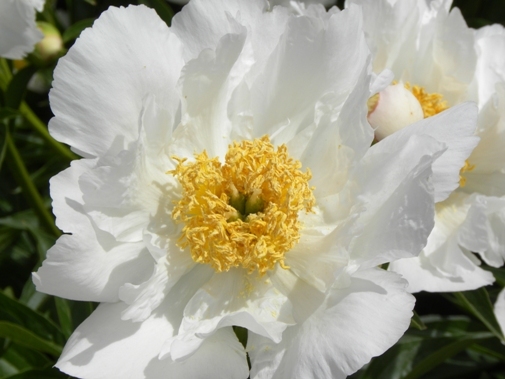 Paeonia lactiflora ‘Krinkled White’ (Garden peony) in the Entry Garden – of course no photo can do it justice! 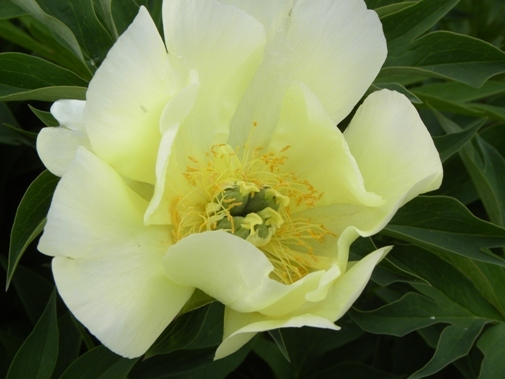 Paeonia (Intersectional Hybrid Group) ‘Going Bananas’ (Garden peony), found in the Perennial Border, all peonies in the garden are currently ‘going bananas’! 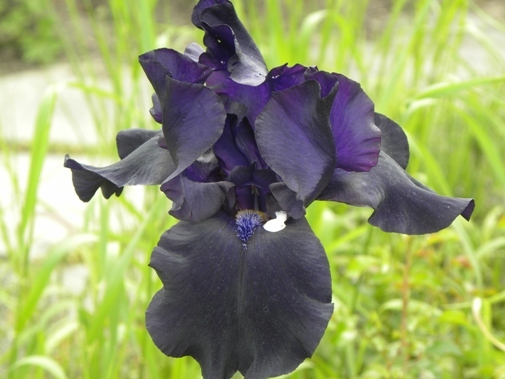 Iris germanica ‘Superstition’ (Tall bearded iris), in the Terrace Garden. If you believe in a certain superstition, the dropping on the fall of this bearded iris should mean luck!